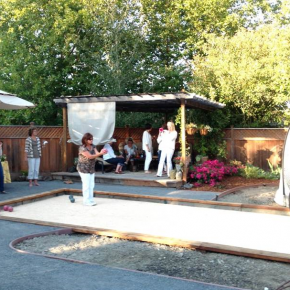 This phased implementation of a back yard master plan started with the removal of an existing fiberglass swimming pool, replaced with a new Bocce Court and gravel pathway. 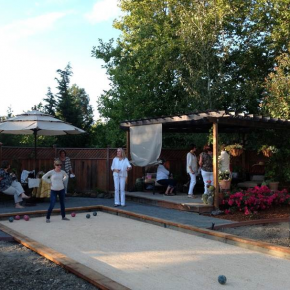 The new space focuses on different entertaining areas, with the Bocce court as the focal point. 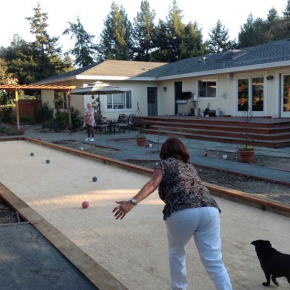 Thank you for your work on the Bocce Court, my girlfriends love it!